Great snow and compelling terrain make Ajax one of the premier ski mountains in the world. Throw in a a town that is both quirky and quaint and you have Aspen, Colorado. 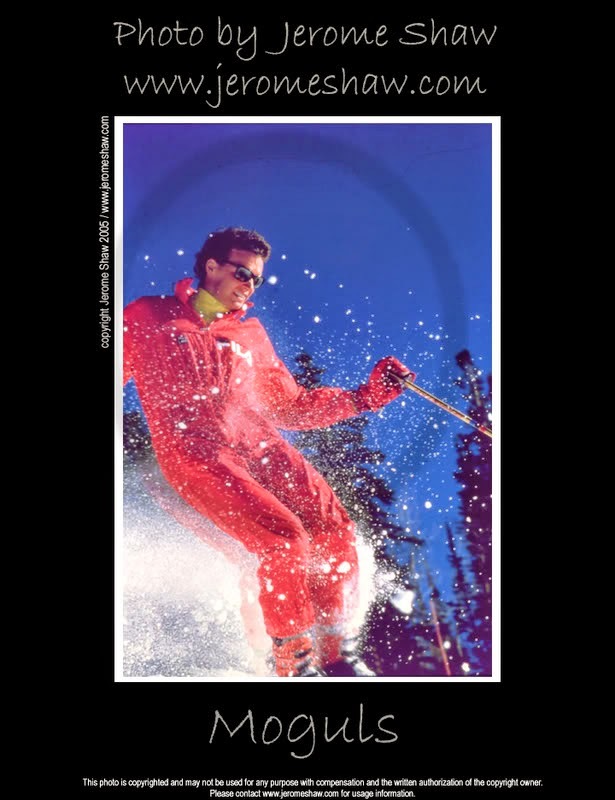 Whether you are hanging out at Little Annie's for an aprés beer and a shot ($3) or dinning at the recently reconstituted Weinerstube, Aspen offers you a taste of it's historic past with all the glitz and glamor of today's posh resort. In the photo above Bill Vipond blasts the moguls like a madman on the ridge of Bell Mountain on Ajax at Aspen. Bill is an amazing skier and a joy to photograph as he rarely misses a turn. In all the years I have been photographing him he has never hit me. About that, I am very happy. I just like the action and power this photo conveys.